D197. 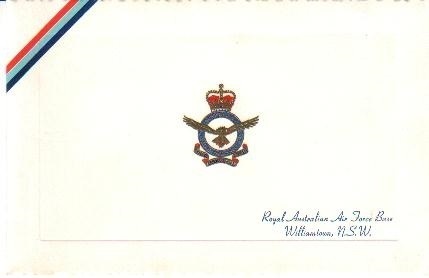 A post 1953 Christmas card from RAAF Base Williamtown with a print of Sabre jets inside with a note to Ted & Family from Joe, Benny and staff of E268. D198. 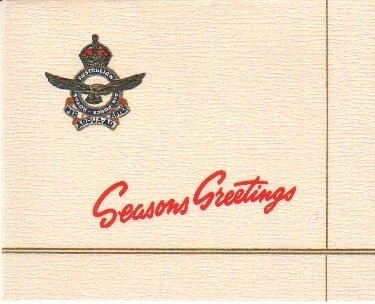 An unused Christmas card from RAAF Williamtown, NSW. D199. 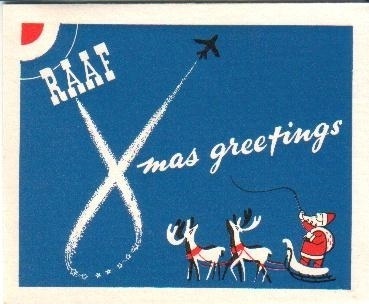 An unused post war Christmas card from RAAF Williamtown, NSW. 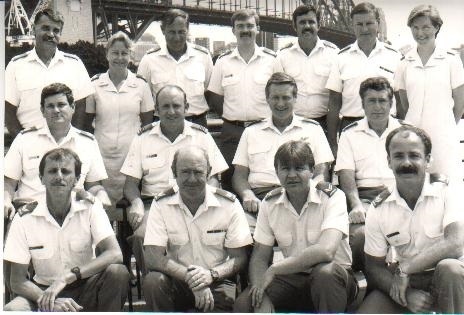 D200. 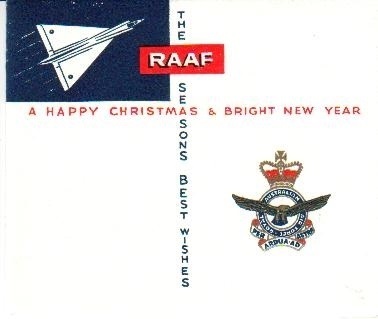 An unused post war Christmas card from RAAF Williamtown, NSW. 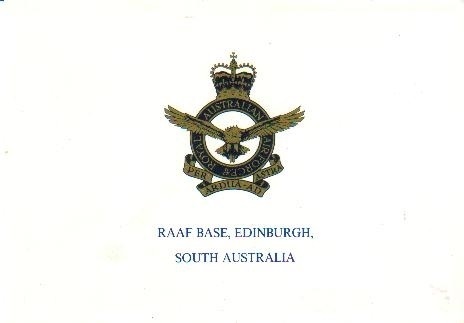 D201. 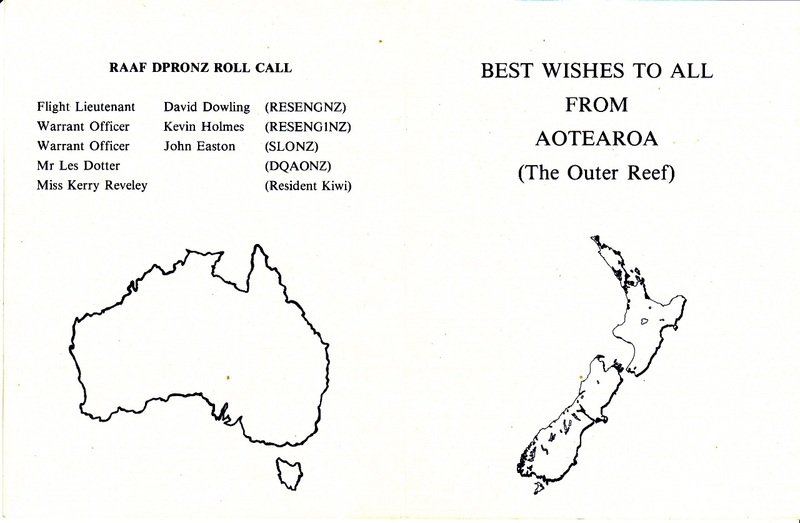 A circa 1990 Christmas card from the RAAF Defence Plant Representative Office New Zealand. D202. 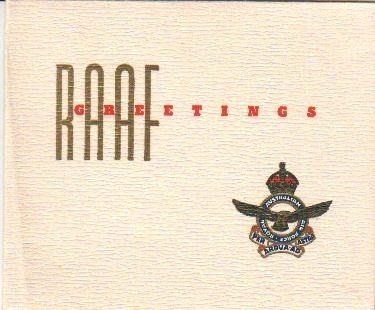 A modern unused Christmas card from No 2 Stores Depot RAAF Regents Park NSW. D203. 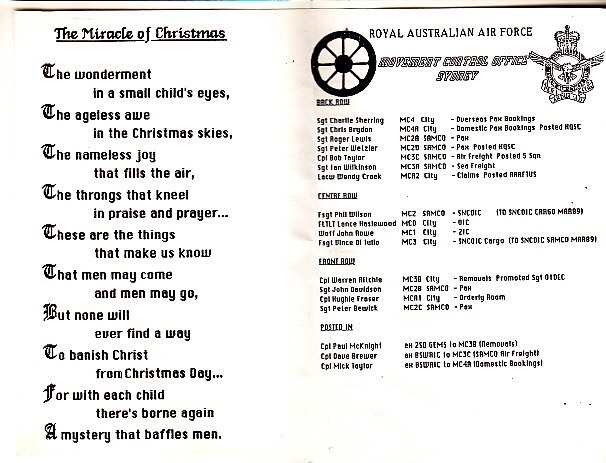 A modern Christmas card with a photo of an F/A 18 from RAAF Edinburgh South Australia with a greeting to David, Clare & Family from George Newby. D204. 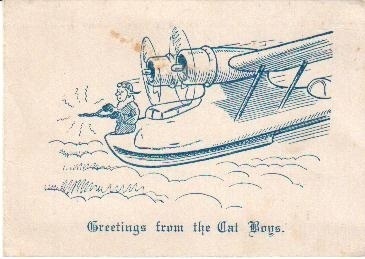 A WW2 Christmas card from the Cat Boys with a note from 417341 W/O Crozier A B Group 821 Darwin to Beth. D205. 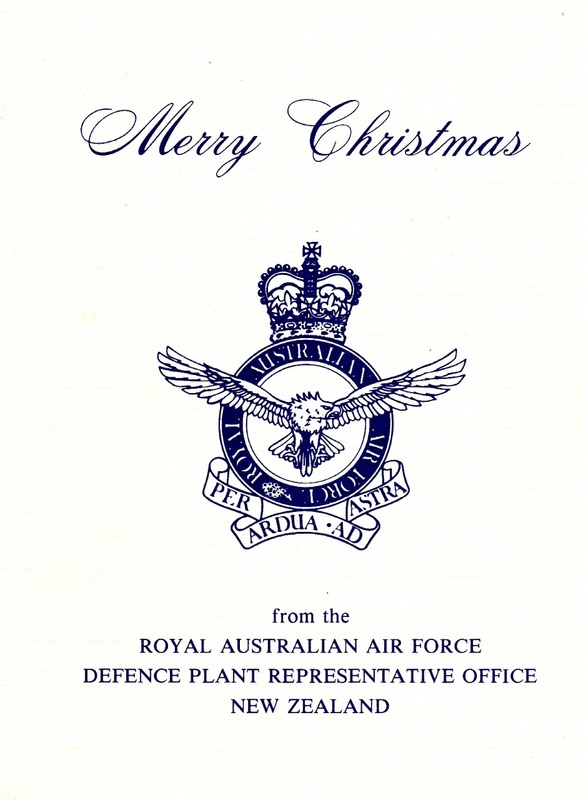 A modern Christmas card from Movement Control Office Sydney with a photo of the staff on the front and list of names inside.